State Grid Corporation Of China established a long-term relationship about electric mobile dining car. The purpose is to promote economic development, and lead low-income family increase incomes. The sample of food car which was customized from Siristar Vehicles by the State Grid Corporation of China. 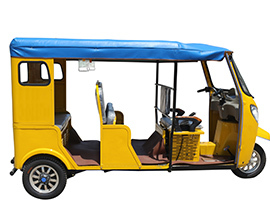 The government stressed on many occasions that mass entrepreneurship and innovation as a new economic growth, herein the State Grid purchased the electrical food vehicles from us to rent for people whom need help. 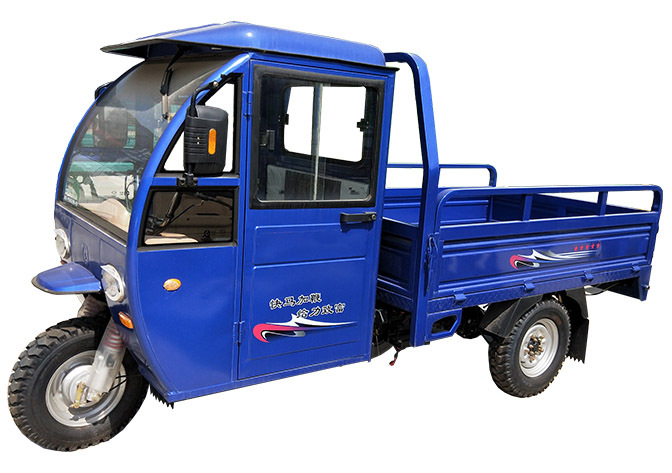 The Siristar Group is a multi-functional Three Wheel Tricycles and Snack Vehicle manufacturer in China.All products be got through CE/DOT/EEC etc authority official qualification. 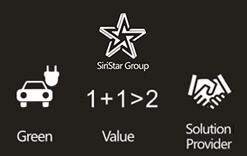 If SIRISTAR provide services same with others, then we are wasting your time. Time is money! GREEN, VALUE, SOLUTION PROVIDER. 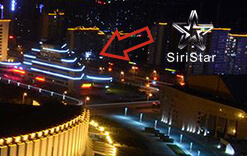 That's why SIRISTAR existence . 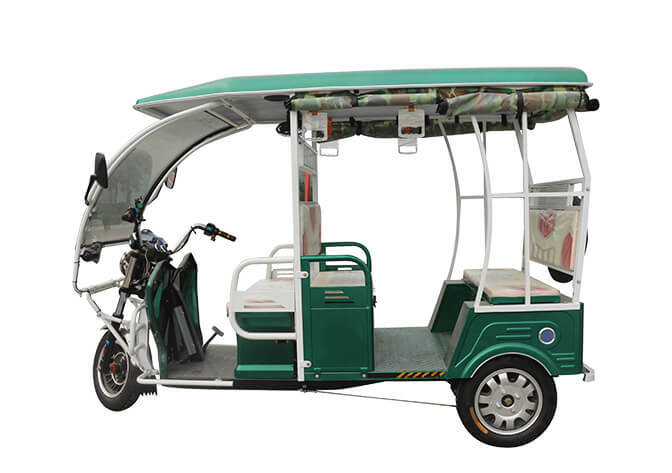 Passenger Tricycle—Passenger tricycle confirm to the trend of internationalization. Low cost and green travel is the first choose for taxi. Fashionable apperance can have an amazing effect on feelings. 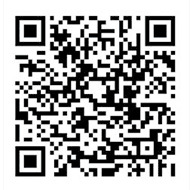 Exported to the Southeast of Asia, Africa, South Africa. 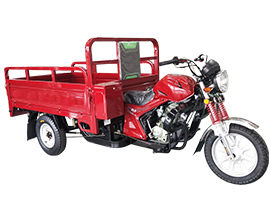 Cargo tricycle — It is the first choice for transport cargo. 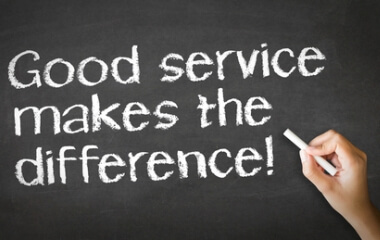 Provide customized service and short delivery time. How to Choose a Suitable Electric Mobile Food Car For Your Business? 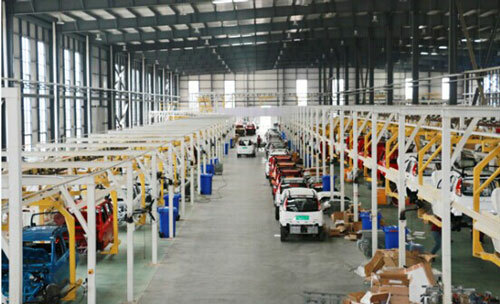 With the economic development, more and more electric mobile food cars applied in business. But how to choose a great and suitable vehicle for your business? 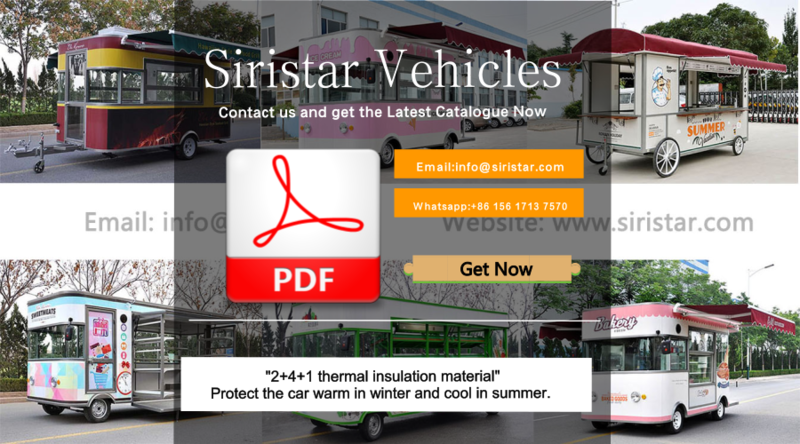 Siristar Vehicles adopted “2+4+1” thermal insulation material, which already applied patent and protected the car warm in winter and cool in summer. This material is great for some countries which are high temperature in summer or low temperature in winter. And the vehicle appearance is important to your business. How to attract more people to purchase your food at first glance? We have professional design team to help you promote your business. If you want to know more styles and models, you can contact us and get the latest catalogue. 2019 Siristar Group All rights reserved.